Extensive studies of elite athletes have demonstrated that for maximum gain during workouts and for maximum productivity during workouts, pre and post-nutrition must be supplied to the body and provide the appropriate nutrients at the appropriate time. 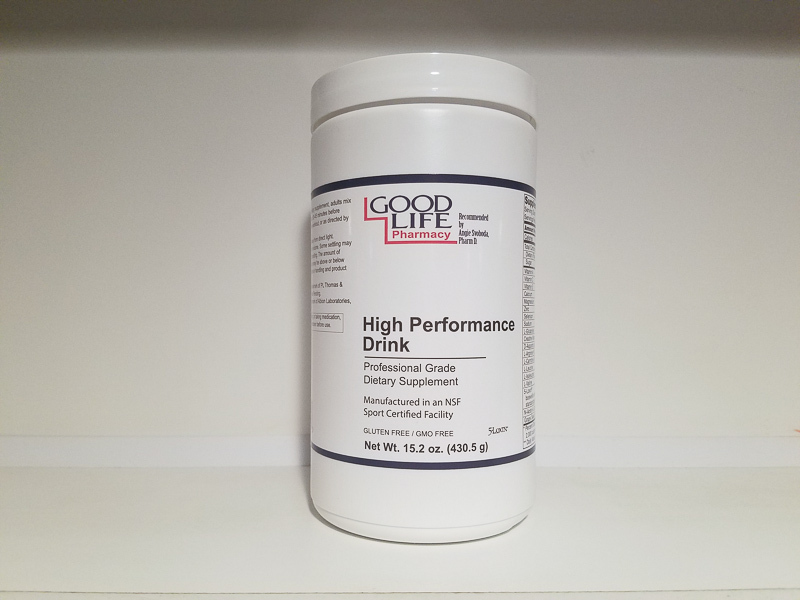 High Performance Drink, taken before and after a workout, will help provide energy, encourage glycogen restoration, enhance muscle repair, reduce muscle soreness, prevent muscle burning and improve overall performance and recovery. Taken prior to a workout, High Performance Drink contains all of the nutrients needed to assure the body is prepared for an intense workout. Taken post workout, High Performance Drink contains the scienti cally documented nutrients needed to enhance muscle recovery. In addition High Performance Drink contains potent antioxidants, anti-in ammatory herbs, and specialized nutrients to reduce free radical damage to muscle, optimize muscle repair, and increase cellular energy and recovery.